LASHEM is neutral eye care product which helps eye lashes to grow stronger , healthier , thicker and darker then before . The clinical results showed up to 48% increase in length of lashes . They created an eyelash product that invigorates the eyelash from the root, giving it strength, fullness and luscious thickness that can help transform thin and brittle eyelashes into long, gorgeous lashes that pop and give women expressively lovely eyes. Our goal is to empower women with natural and safe products that enhance natural beauty with anti-aging preventative eye care products. LASHEM is about improving the signs of aging, not to encourage women to vastly change their appearance. Love the way you are and you'll live a healthier and happier life. Experience the difference with our dual-patented lash boosting formula that is sure to condition those beautiful lashes! This lash boosting product works great on short, brittle and weak lashes. When it comes down to beauty we know it’s all about the eyes. Also works great on eyebrows. Irritation free, prostaglandin free and no prescription needed! Great for lash extension users! Help those broken, brittle lashes. I really enjoyed using this product , it has tip same as eye liner brush which makes application easier though I didn't find any noticeable change in my lashes but yeah to some extent it does effect on me as it claims . Ingredients of Lashem are listed as PEG-12 Glyceryl Dimyrstate, PEG-23 Glyceryl Distearate, Panthenol, Biotin, Camellia Oliefera Leaf Extract, Cucimis Sativus, Hydroylzed Glycosaminglycans, Hydrolized Wheat Protein, Vaccinium Macrocarpon Fruit Extract, Lycium Barbarum Fruit Extract, Vitis Vinifera Extract, and Allantoin. Many of the ingredients have hydration and soothing properties while the main ingredients work to strengthen hair, luster, and shine. The thing which I like the most about this gel is , its Paraben free & Prostaglandin free . 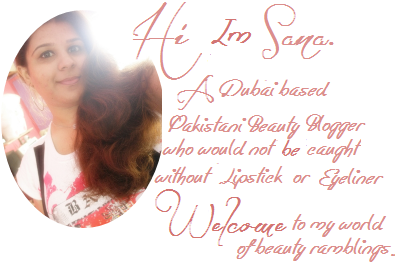 It comes a plastic bottle and I find the packaging is quite chic and girly and weighs about 3.5ml which I think going to last for a quite long time depending how much you use though you just need a little amount on your upper lash line . As I mentioned above it comes in a liner brush form which makes application easier . 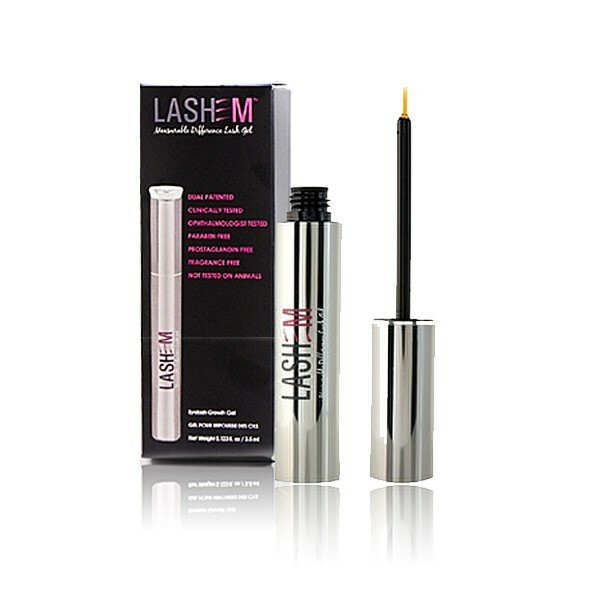 Apply LASHEM with one gentle continuous stroke across base of lashes. Recommended application is twice daily, can also apply one a night. Eyes should be clear of any makeup or cream residue; contact lenses should also be removed. It costs around 69.99 $ which I guess abit pricey for a product use for lashes . You can order yours from Here . You can follow them on Facebook & Twitter here . How you find this product ?Any one of you tried it yet? 8 comments on "Review [Measurable Difference Lash Gel]"
Cool post, i really like your blog and found it from a comment you left on a another blog. Would you like to follow each other? Make sure that you grow eyelashes now and experience all of its wonderful benefits.